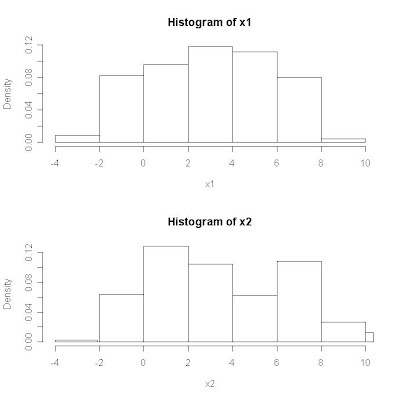 Is sample 1 smaller than sample 2? 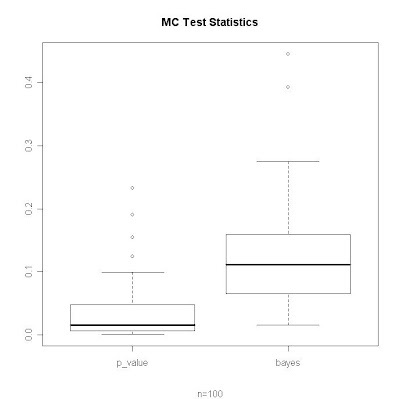 I assume data is generated from a normal distribution and additionally assume a normal prior for mu. 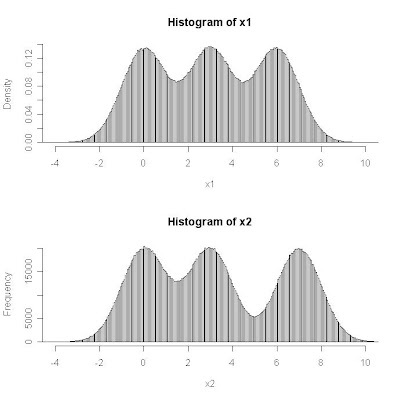 Set mu_prior = 3.166 and sd_prior = 2.85, the approximate true mean and standard deviation for the population. 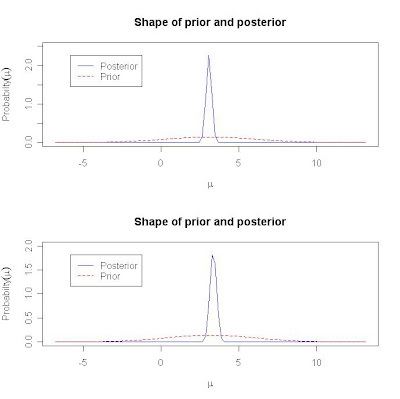 Back out the Bayesian test probability as 1 - pr(mu_1 < mu_2) from numerical integration. Repeat the experiment n=100 times.